Get that novel out of the drawer and self-publish it for free at the library! We’ve got several electronic platforms that, individually or in concert, will be perfect for your creative brainchild. If you want to standardize your book’s digital formatting and make sure it reads the way you want, check out Pressbooks! You can upload a file or even just copy and paste what you’re working on, and export a shiny new file in the format of your choice when you’re finished. From Pressbooks, you can send your book to SELF-e for publication in the library’s ebook collection! SELF-e is an ebook submission platform managed by Library Journal. It’s completely free to submit to, and if your book is selected for publication (almost all are), it will be included in the East Baton Rouge Parish Library’s Biblioboard collection. They’ve recently revamped the submission process to make it easier and more streamlined than ever! meaning it would be shared with collections across the country – or anywhere a library has signed up for the Biblioboard service. We’ll be able to feature it in a variety of collections. 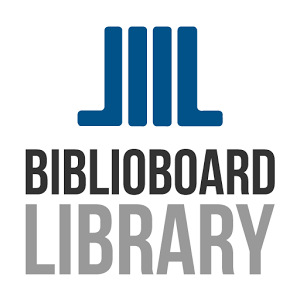 You can use your profile on Biblioboard to grow your readership and support your new career as a published author!